Amazon's Kindle was not the first e-book reader ever released. But there's no doubt it was the one with the most impact. Since its release in November 2007, the Kindle has been a key reason for the mainstream adoption of the digital e-book format. In fact, e-books now outsell both hardcover and paperback books combined on Amazon.com. Through the years, the original E-Ink Kindle has seen plenty of refreshes, including the addition of Wi-Fi and 3G connectivity features. Amazon also released a "DX" variant, which sports a bigger screen than the regular Kindle. 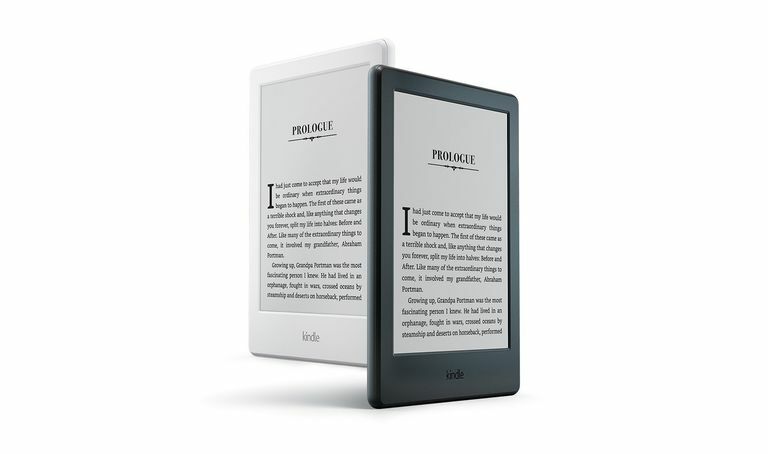 But with increased competition from competitors such as Barnes & Noble and Sony, which both offered touchscreen e-readers, for example, Amazon needed to step up its game. Barnes & Noble's Nook Color tablet was especially a surprise, eclipsing the Kindle as the bestselling e-reader worldwide in 2011, thanks to its ability to be used as an Android tablet. By 2011, Amazon refreshed its entire Kindle lineup by offering six models. The original Kindle 3 models were rebranded the Kindle Keyboard and Kindle Keyboard 3G. Amazon also added four new models. The first is a budget priced $79 Kindle with no keyboard. Next were two e-ink-based touchscreen models, the Kindle Touch and Kindle Touch 3G. Rounding out the list was an Android-based tablet, the Kindle Fire, which has seen several refreshes and new versions as it now accounts for a larger share of Amazon's device business. These include newer "HD" variants as well as a kids' version designed to withstand drops and rougher treatment. The result is a stranglehold on the e-reader market by Amazon as well as new strength in the tablet market. Here's a look at Amazon's Kindle devices through the years.